James, did you watch the ‘Classroom Experiment’ on the BBC with Dylan Wiliam? A lot of interesting information which will help your research. I saw part of the second episode but I missed most of it. It has been mentioned a couple of times during my MA meetings. I’m going to have to try and track down a copy of it. Everyone who I have spoken to that watched it have said that it raised a variety of interesting ideas. 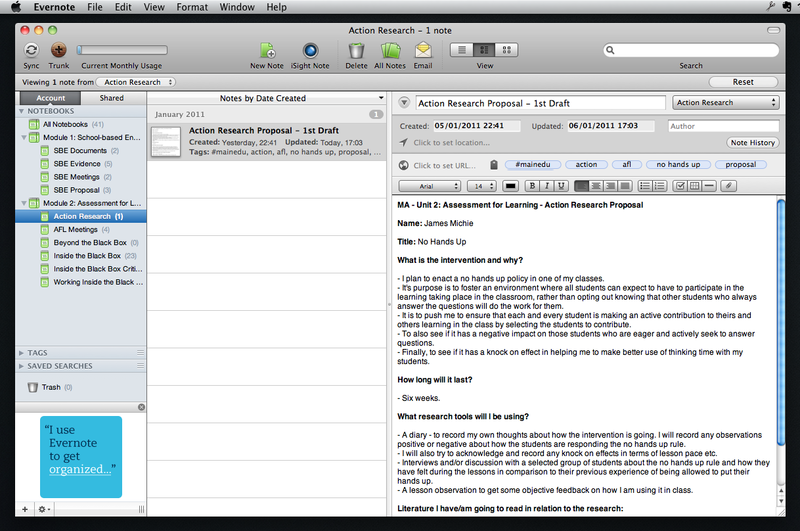 Previous Previous post: Evernote FTW!